According to a report from long-time Vol reporter Jimmy Hyams, a former Tennessee coordinator is coming back to the SEC East. Just not in the way you might have imagined. Former Vol defensive coordinator John Jancek has reportedly accepted a position as a defensive consultant for Kentucky’s football program. And as Hyams points out, Jancek will not be an on-the-field coach for the Wildcats. Former Tennessee defensive coordinator John Jancek hired as defensive consultant by Kentucky. He is not an on-the-field coach. Jancek served as safeties coach for South Florida last season after being let go from the Vols after the 2015 season. The Bulls had the 122nd-ranked passing defense in the country last season, although the team did intercept 15 passes on the season. South Florida was 11-2 and beat South Carolina in the Birmingham Bowl despite their poor pass defense. Jon Hale, a Kentucky beat writer for The Courier-Journal, confirmed the hiring of Jancek later in the day. 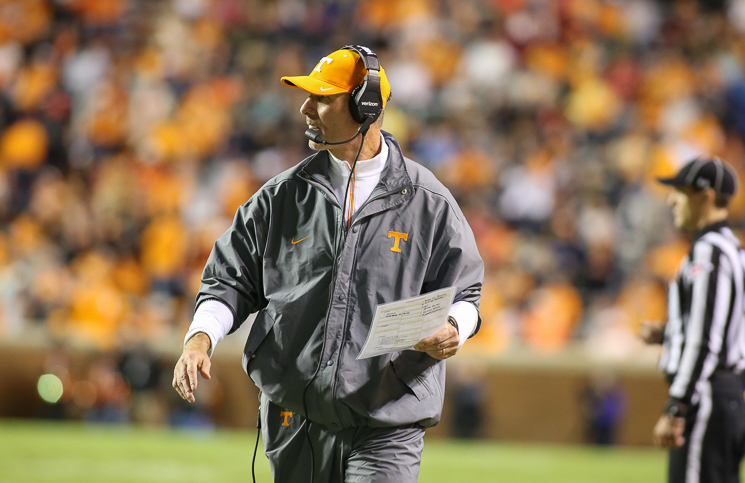 As Tennessee’s defensive coordinator, Jancek improved the Vols’ defense every year he was coordinator from 2013 to 2015. Tennessee’s overall defense ranked 11th in the SEC in 2013, 8th in 2014, and 7th in 2015. But Butch Jones and Jancek agreed on a “mutual decision” to part ways prior to the 2016 season, and Jones hired Bob Shoop as Jancek’s replacement.